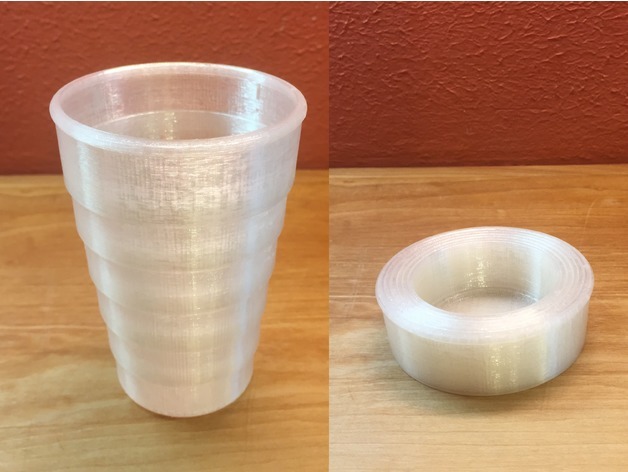 Collapsible Cup #3DPrinting #3DThursday « Adafruit Industries – Makers, hackers, artists, designers and engineers! This was really just an experiment to see if I could make one of those collapsible camping cups, but it leaks pretty badly. 🙁 So… it doesn’t work well for holding liquid but it opens and closes really nicely and it’s kinda neat, I just can’t think of a use for it. It makes a good fidget… I thought I would post it anyways, at the very least I hope it gives someone a idea to make something better from the concept.